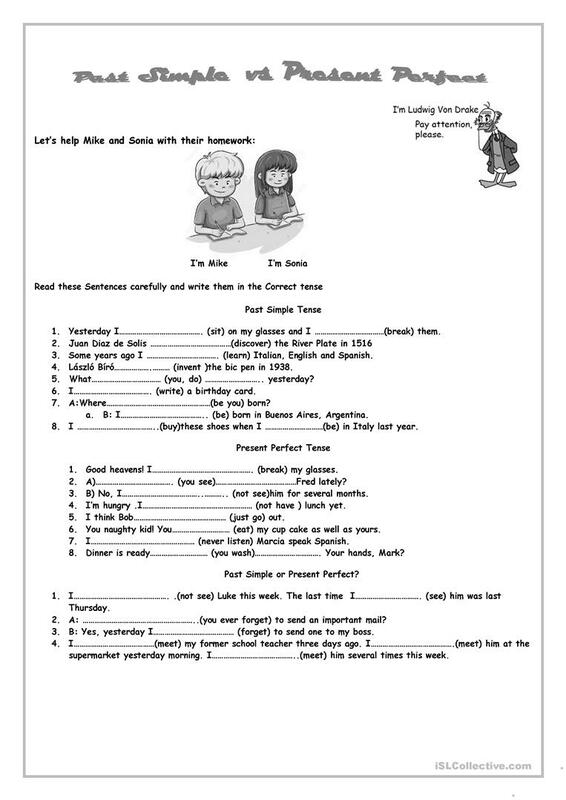 Past Simple vs Present Perfect April 2015. Colour and B&w ws. Review :Past Simple and Present perfect Tense. 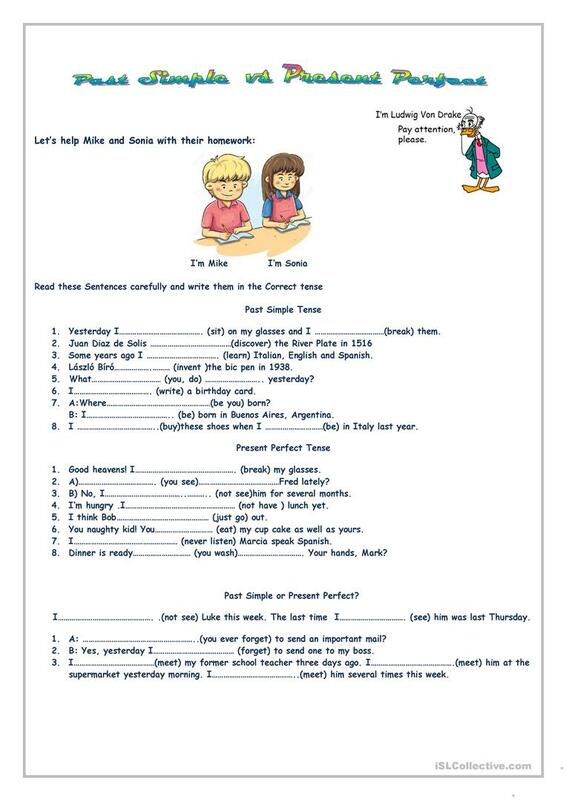 Students have to fill in the blanks with the correct tense.They can write their own examples too. The present downloadable teaching material is a great resource for high school students, elementary school students and adults at Elementary (A1), Pre-intermediate (A2) and Intermediate (B1) level. It is aimed at consolidating Past simple tense, Present perfect or past simple tense and Present perfect simple tense in English, and is useful for enhancing your students' Writing skills. It is focused on the vocabulary topic of Actions.